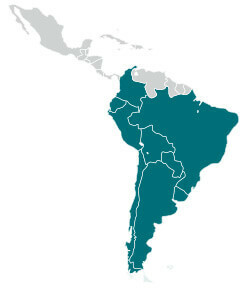 Acquisition of Biotoscana Farma S.A., a leading specialty pharmaceuticals player in the Andean region with operations in Argentina, Colombia, Chile, Ecuador and Peru. 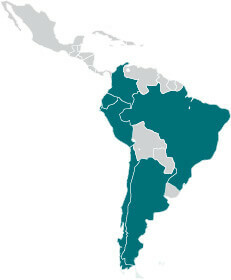 Acquisition of United Medical Ltda., a leading specialty player with operations in Brazil and beginning of promotion of a number of additional branded products, including AmBisome®, Truvada®, Viread®, Vidaza® and Sovaldi®, and operating in Latin America Logistics Hub located in the free trade zone of Uruguay. 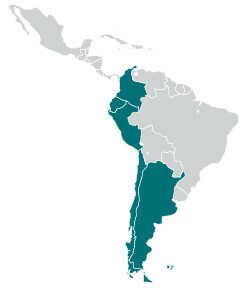 Acquisition of LKM, a leading oncology and HIV treatment player in Latin America, with operations in Argentina, Bolivia, Chile, Ecuador, Paraguay, Peru e Uruguay. The acquisition of LKM in 2015, allowed the Group to supplement the specialty products portfolio of the Biotoscana Group by integrating LKM‘s state-of-the-art pipeline of products under developement, their strong high-end branded generic portfolio, including Ladevina®, Timab®, Rembre®, Enzastar®, Zyvalix®, Tuberbut® and Telavir®, as well as their Argentine manufacturing facilities. Beginning of operations of Group Biotoscana de Especialidad, S.A. de C.V. in Mexico, expanding the footprint. In addition, GBT established its global headquarters in Montevideu, Uruguay in this same year. GBT concluded its IPO, in July, with its shares traded on the BDR Level III segment of B3, under the symbol GBIO33 and on the Luxembourg Stock Exchange – Euro MTF market. Acquisition of Laboratorio DOSA S.A., a specialized pharmaceutical manufacturer with headquarters in Argentina founded in 1999. Most DOSA products treat severe pulmonary pathologies including idiopathic pulmonary fibrosis and cystic fibrosis and have additional portfolios in oncology, hematology and HIV. DOSA already exports some products to Colombia, Peru and Brazil, with potential for expansion to other regions of Latin America. Biotoscana Investments S.A. is a corporation (société anonyme) organized under the laws of the Grand Duchy of Luxembourg. Grupo Biotoscana was incorporated on August 16, 2011 and is currently a holding company for the GBT group. The Group is controlled by Advent International, Essex Woodlands, Guttmann and Friedlander. 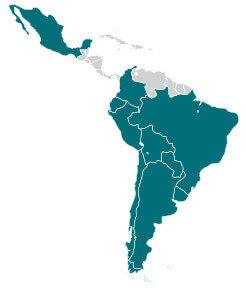 GBT is the first Latin American integrated biopharmaceutical company based on innovation, engaged primarily in the development, manufacturing and commercialization of advanced medicine throughout the region, aimed at treating truly unmet medical needs. Headquartered in Montevideo, Uruguay and with presence in 10 countries throughout the region, GBT offers an unparalleled infrastructure among its peers. With scientists, doctors, pharmacists, regulatory professionals, sales and marketing experts, access specialists and a dedicated support team spread throughout the region make their lives’ purpose to enhance lives and restore hopes to patients with severe and debilitating conditions. GBT focuses on products that make a difference for doctors’ practices and transform lives in profound and meaningful ways. The main areas of operations are oncology, onco-hematology, severe infectious diseases, genetic and rare conditions as well as immunology and inflammation. GBT´s products are among the most advanced medications available to mankind, launched at the same time as in the most developed markets in the world, like the United States, Europe and Japan. To be able to do that, GBT is a pioneer in the region in Open Innovation. The most advanced concept in clinical research, Open Innovation recognizes that companies cannot go at it alone anymore. In an interconnected world, the science ecosystem became interdependent and porous. A modern research-based company can and should use external ideas as well as internal ideas as it looks to advance its technology. There is hard to keeping the boundaries between GBT’s research and its environment permeable, so innovations can easily transfer inward and outward. GBT routinely establishes clinical partnerships with some of the most innovative biopharmaceutical companies in the world, providing an important pipeline of new products, which we complement with technology created in our own state of the art research and development laboratories and partnerships with local and international universities and research centers for BGx products (generic branded versions).